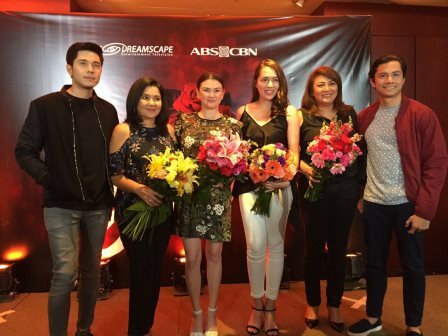 Fresh from the success of "Doble Kara" and "Pangako Saýo," Julia Montes and Angelica Panganiban are set to work together in upcoming ABS-CBN teleserye "Victims of Love." Yeah, this is the first time that these two versatile actresses who could perfectly play bida and kontrabida at the same time will work together in one exciting TV series! Joining Julia and Angelica as their leading men were also the versatile actors Paulo Avelino and JC Santos. JC just rose in stardom after playing the gay bestfriend of JaDine in "Till I Met You." Julia, Angelica, JC, and Paulo already worked separately in different projects. 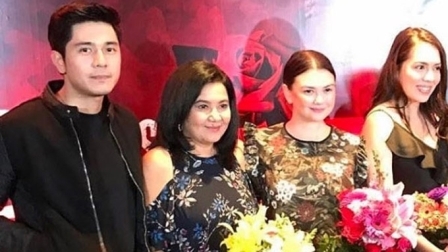 Angelica and Paulo were paired in the movie "The Unmarried Wife," Julia and Paulo on the TV series "Walang Hanggan," and Julia and JC on the recently concluded fantasy anthology "Wansapanataym Presents Anika Pintasera." Veteran actresses Lorna Tolentino and Cherry Pie Picache were also present in the said TV series. "Victims of Love" is said to be a suspense-drama TV series which is set to hit the Primetime very soon.